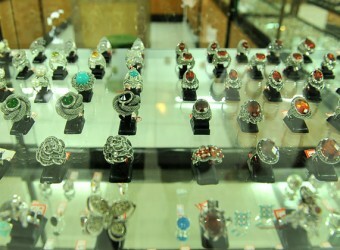 Dewi’s gold and silver located in Celuk Village which has been renowned as Bali’s center for home-based gold and silver jewelry manufacture for hundreds of years. It was opened about 25years ago. The shop window displaying a vast array of gold and silver jewelry such as earrings, rings, broach, pendant tops and so on. I asked to my boyfriend buy it, buy it! My boyfriend is stingy LOL eventually he didn’t buy it for me. I had no choice I bought it with my own money. This shop is sellig many Japanese people’s favorite silver products.